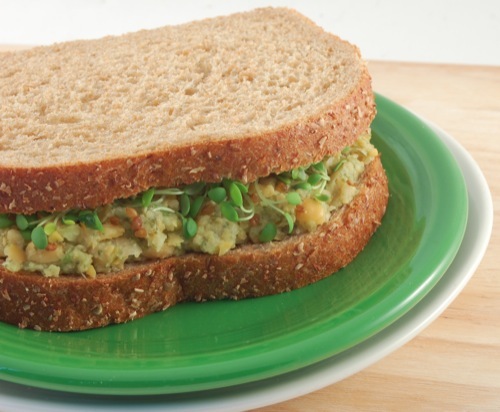 This mock tuna salad is absolutely delicious and makes for a quick lunch! I looove it! I like to serve it on sprouted whole wheat bread and Scott likes to serve it on toasted whole wheat. 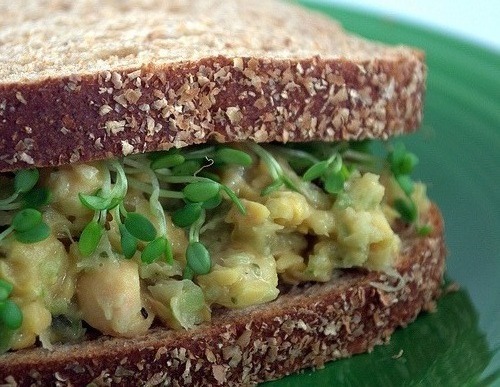 Who knew mashed up chickpeas could taste just like tuna? It's amazing how this sandwich tastes like the real thing.. except without the fish, mercury, and cholesterol. It's the healthiest and tastiest TuNo around!